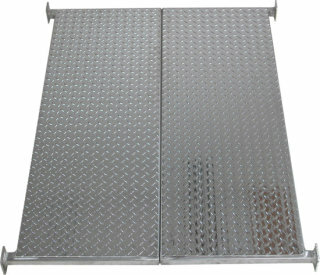 Heavy-duty diamond plate floor welded to 1 1/2" heavy wall square aluminum tubing for an indestructible platform. 66" and 72" refers to the overall frame width. See the Sizing Tab for actual floor dimensions. The 72" Floor is divided for shipping purposes. The 66" floor is not divided.